The parents of special needs children in New York City have been testifying about subpar school bus service in City Council hearings, to no avail. According to parents, the city has a problematic school bus service, but officials from the Department of Education are not addressing the situation. In a three-hour hearing last month, officials discussed the issues regarding the DOE’s school-busing system. Parents also spoke to explain the issues they have faced for their special-needs children, including overcrowding, chronic lateness, route changes, staff transfers, undertrained drivers and attendants, and extended ride times. One highly-cited example of an extended ride time was a three-year-old boy with autism who had to travel for five hours to get home due to the route on which he was placed. Students with special needs have Individualized Education Programs which specifically state their travel time limit: the IEP travel mandate requires that no student with special needs will travel for longer than one-and-one-quarter hours at a time. Additional complaints included parents and children waiting for a bus which failed to show or was late five or more times, and a bus which was unable to manage wheelchair-bound students. As part of an efficiency system, the drivers face fines if the bus arrives late to school; the wait time has decreased from three minutes to one minute, which means that a driver may feel forced to leave the area before the child has boarded. Parents also stated that there may be language barrier issues with drivers and attendants, although according to the DOE, all drivers and attendants must be English-speaking. Also, parents stated that most of the bus drivers and attendants were not adequately trained to work with students with special needs; the bus companies contract to serve the city and what constitutes comprehensive training falls under their definition. Inconsistencies include buses which may or may not have air conditioning, may or may not be equipped with GPS systems and do not have safety cameras. Caring for a child or other family member with special needs presents a number of issues in areas of health, finance, and law. You need to make sure your child receives proper care, your estate is well-planned, and you are receiving all the government benefits for which you are eligible. Services abound to help you make the best decisions in these regards. These matters, complex as they may be, may in fact seem straightforward in comparison to two issues you may face that have much deeper personal and emotional aspects. The first is the question of where a special needs family member should live. The second is the endurance of a marriage or other domestic partnership in spite of the stresses that special needs care imparts. A moderate to severe developmental disability in a family member raises the question of whether home care or institutional care is best. You must realistically consider what is best not only for the special needs patient, but for the rest of the family as well. Objective analysis of such an emotionally challenging decision can be very difficult. A special needs individual can become very dependent on routines; a change in their environment can cause undue stress. Family members, therefore, need to develop long-term plans and prepare for contingencies. When stay-at-home special needs patients outlive their parents, for example, they may have to deal with being relocated while at the same time dealing with losing a loved one. This can be very traumatic. Overall divorce rates nationwide are quite high, and in families with special needs children, the rate is probably even higher. Stresses of all kinds make relationship problems harder to resolve, and special needs children are certainly no exception. On the bright side, a vulnerable and disadvantaged child can bring out in couples a firmer resolve to stay together for the sake of the child. The prevalence of divorce means that counseling and other support services are readily available in most communities. Increased awareness of special needs families means support services tailored to your needs are also likely nearby. For instance, look for programs at local churches where your children can spend time with others like them, giving you and your partner a break and some time alone. For more information, visit our website at www.specialneeedsnewyork.com. 1) Keep your own copies of your child’s records. Sometimes school districts take time to transfer records and to ensure a new transition into a new school. 2) Be aware of your child’s emotional needs. Children do not always adjust seamlessly to a new environment. Stay carefully attuned to your child’s social and emotional adjustment after each move especially for adolescents and teenagers, who may appear stoic but face adjustment problems. 3) Don’t be afraid to complain and speak out. While few individuals are more resilient than members of the military, this trait will not help your child with a disability. Alert the school district to problems early on and ensure that you advocate and speak up. For more information on DOD Special Education, visit http://www.wrightslaw.com/info/dod.index.htm or visit www.specialneedsnewyork.com. Developmental disabilities and delays in children used to be largely ignored before the age of five. Today, it is widely understood that important learning milestones occur well before then, and early therapy can do a great deal to help children. In 1986, Congress established the Early Intervention (EI) program as part of the Individuals with Disabilities Education Act (IDEA). EI provides a variety of services for children from birth to the age of three to help with their mental, physical, emotional and social development. While not federally mandated, EI is implemented in all 50 states due to strong federal financial incentives. When parents suspect their child may not be developing properly, a pediatrician can prescribe a full evaluation of the child’s faculties. If tests indicate that the child’s development is not optimal, the family meets with professionals to develop an Individualized Family Service Plan (IFSP). At subsequent annual or biannual meetings, the child’s progress is assessed and the plan is modified as necessary. Occupational therapy assists in the development of self-help skills, adaptive behavior, and sensory and motor development. Psychological services include conducting and interpreting psychological tests and planning counseling programs. Family training assists parents in understanding their children’s unique needs and promoting their development. Audiology and vision services identify and help correct sensory disorders and mitigate their effect on learning abilities. Fifty years ago, a developmental problem, left untreated, might have destined a child to be institutionalized, whereas today, early intervention can help that same child integrate well with children their age by the time they reach grade school. If you suspect your child may have a developmental disability or delay, talk to you pediatrician about testing and the EI program. If you disagree with your doctor’s opinion or the results of your child’s EI evaluation, and believe your child needs EI services, you may want to talk to a special needs advocacy lawyer. Community bands together to form a company that will bring high quality services to special needs families at discounted introductory prices! Keesago, LLC is a new company created by parents of special needs families for other parents of special needs families. Our mission- to revolutionize the way members of the special needs community find high quality resources! How you ask? The Keesago team has decades of experience on the front lines – with therapists, schools, summer camps, educational products and the like. So we have pooled together our experiences and the knowledge of others across the tri state area to create a directory of “go to” resources. Also, we cut steeply discounted, introductory pricing with many. Finally, a company that can bring you the best of the best — at a discount! How does it work? A weekly deal will arrive in your inbox at discounts of 50% or greater. Simply pick from multiple options all across the tri-state area. Also our resource directory contains a list of providers we like most and their services or products. Looking for a new speech therapist? In addition, we will also have a blog and a calendar of events in the region. And wait, there’s more…don’t miss out on a chance to win prizes, including free gift cards, classes and even more! How do I sign up? Well that’s easy… Just visit us at https://www.keesago.com and like us at http://www.facebook.com/KeesagoLLC to become a part of this wonderful resource and virtual community. 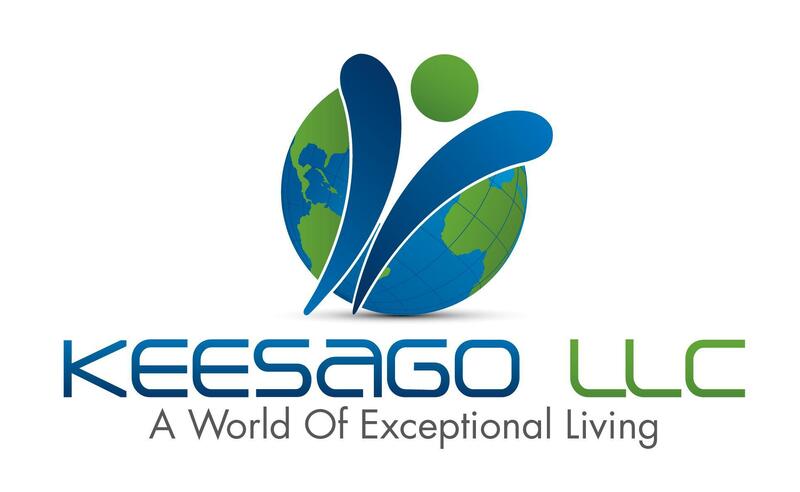 Keesago… A world of exceptional living! Many of us still lack power and heat after the storm and schools are still not open. Some have homes destroyed or have suffered worse losses. These adverse conditions, for most of us, are mere inconveniences, but for children with disabilities, the changes in routines can be devastating. The hurricane gives us an opportunity to remember the value of helping our children become resilient—one of the most important traits we can give them to prepare them for adulthood . “Resilience is a universal capacity which allows a person, group or community to prevent, minimize or overcome the damaging effects of adversity,” according to Dr. Edith Grotberg, author of A Guide to Promoting Resilience in Children: Strengthening the Human Spirit and a leader of the International Resilience Project. Children who are resilient have the capacity to bounce back after adversity and use negative experiences to become stronger. Resilience is particularly important for children with disabilities. Many think of resilience as a character trait, but it is actually a learned process of adapting successfully to difficult situations. Parents are the primary teachers and models of resilient behavior. In this particular storm, remind your children that the storm just brought passing inconvenience and that things will return to normal. Stick to routines and rules as much as possible. Also, if you do not have power, use this opportunity when children are not plugged in, to foster family activities, such as card or board games. Remind your child of everything that he or she has, of inner resources and strengths and of all the ways of coping. If you are able, you may wish to work with your child on ways to help others who were more affected by the storm. Of you may interest your child in a study of similar storms and the link to climate change. Take the opportunity to focus the positives in your current situation, such as the fact that you all have a little down time and are safe and healthy. On a broader scale, building resilience long term stakes time and work. 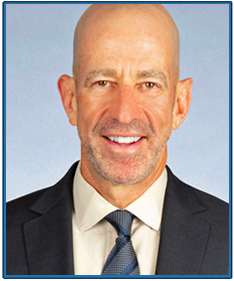 Dr. Kenneth Ginsburg author A Parent’s Guide to Building Resilience in Children and Teens: Giving Your Child Roots and Wings, has developed, along with the American Academy of Pediatrics, seven “C”s of resilience, as resilience is not simple. The traits are Competence, Confidence, Connection, Character, Contribution, Coping and Control. Parents can use these guidelines to help their children recognize their abilities and inner resources. For adults, who are modelers of behavior, the American Psychological Association lists “10 Ways to Build Resilience”, which are: (1) maintaining good relationships with close family members, friends and others; (2) to avoid seeing crises or stressful events as unbearable problems; (3) to accept circumstances that cannot be changed; (4) to develop realistic goals and move towards them; (5) to take decisive actions in adverse situations; (6) to look for opportunities of self-discovery after a struggle with loss; (7) developing self-confidence; (8) to keep a long-term perspective and consider the stressful event in a broader context; (9) to maintain a hopeful outlook, expecting good things and visualizing what is wished; (10) to take care of one’s mind and body, exercising regularly, paying attention to one’s own needs and feelings. In this particular storm, remind your children that the storm just brought passing inconvenience and that things will return to normal. Stick to routines and rules as much as possible. Also, if you do not have power, use this opportunity when children are not plugged in, to foster family activities, such as card or board games. Remind your child of everything that he or she has, of inner resources and strengths and of all the ways of coping. If you are able, you may wish to work with your child on ways to help others who were more affected by the storm. Of you may interest your child in a study of similar storms and the link to climate change. Take the opportunity to focus the positive in your current situation, such as the fact that you all have a little down time and are safe and healthy. On a broader scale, building resilience long term Restakes time and work. Dr. Kenneth Ginsburg author A Parent’s Guide to Building Resilience in Children and Teens: Giving Your Child Roots and Wings, has developed, along with the American Academy of Pediatrics, seven “C”s of resilience, as resilience is not simple.” The traits are Competence, Confidence, Connection, Character, Contribution, Coping and Control. Parents can use these guidelines to help their children recognize their abilities and inner resources.